AKG K553 MKII is the ideal closed-back, over-ear studio headphone for monitoring, mixing and mastering. Designed for peak performance and maximum comfort, AKG K553 MKII combines the noise-isolating qualities of a closed-back headphone with the spacious, dimensional sound of an open-back design. The 2” (50mm) low-impedance drivers provide strong, accurate, and distinguished bass response, with enough sensitivity for precise sound reproduction on laptops and mobile devices. Extra-large soft ear pads ensure stress-free listening over long sessions. 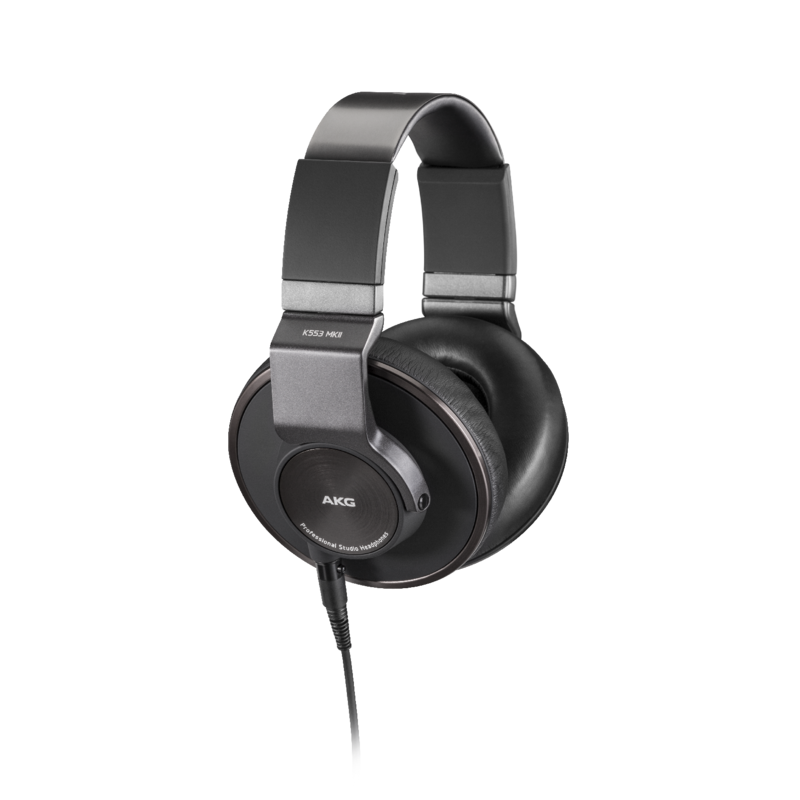 AKG K553 MKII even features a detachable cable and 2D-axis mechanism that enables flat folding for easy storage or handling on the road.